Alpena is embraced by soft rolling hills, beautiful forests, and sparkling blue water. The perfect topography for a round with friends. Alpena is centrally located to 5 golf courses that could be considered hidden treasures. 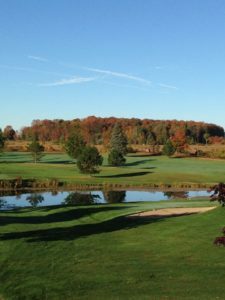 The change of Michigan’s seasons create new vistas for an outing on the green. Pictured: River’s Edge Golf Club.